The Historical Museum of Crete was founded by the Society of Cretan Historical Studies in 1953, following the issue of a Ministry of Culture permit to establish a museum collection. The Museum was founded and is run by the Society of Cretan Historical Studies, with the aim of preserving and showcasing the cultural heritage of Crete from early Byzantine times to the modern era. This aim has been achieved gradually, by the collection, purchase and donation of artefacts, together with artefacts on long term loan from the Ministry of Culture. The Museum of the Battle of Crete and National Resistance (1941-1945) was founded by the Municipality of Heraklion in May 1994. The museum's aim is to collect, preserve and exhibit relics from 1941-1945 in an appropriate manner, as well as to document and disseminate information on the people's struggle during the Battle of Crete and the German-Italian occupation. In addition to presenting a range of material witnesses to the past, the museum aims to cultivate interest and respect for the history of Crete. The Museum of Byzantine Icons and Relics of Archdiocese of Crete is located in the Venetian church of St. Catherine of Sinai, in the center of Heraklion and next to the cathedral of Saint Minas. Situated northeast of the Cathedral of St. Minas in Heraklion Crete, this church once belonged to the Monastery of St. Catherine on Mt. Sinai. The church was founded in the second Byzantine period, and was a centre of intellectual and artistic activity from the 15th to the 17th century. St. Catherine's now serves as an exhibition venue owned by the Archdiocese of Crete. It houses works representative of the Cretan Renaissance, the most outstanding of which are portable icons by Michail Damaskinos. CHILDREN ACTIVITIES - activities for children from 4-11 years old. 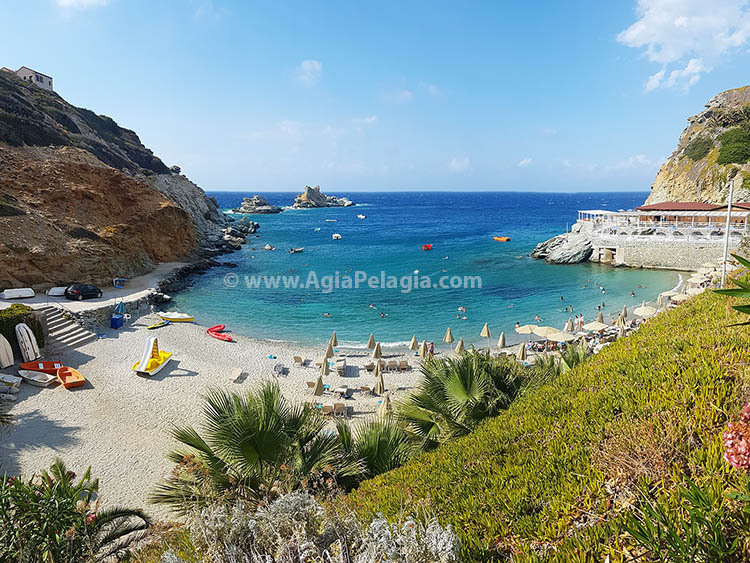 MINOAN Amusement Club - Inspired by the famous Ancient Minoan Palace sites of Knossos, Phaistos and Malia, OUT OF THE BLUE Capsis Elite Resort in Agia Pelagia features a re-designed fairyland and historical amusement park of about 4.000 sq. m. for children from 4 to 11 years of age and their parents. This unique park in our family resort in Crete is open to the hotel guests as well as to the public and to all children who wish to experience this, one-of-a-kind, play land. The CAPSIS Out of the Blue Minoan Amusement Club is the only Minoan Mythological Park in Greece and will introduce children to the world of Minoan and Greek Mythology where the Ancient World will revive in front of their playful eyes. It consists of a main Minoan Palace with various facilities and a range of outdoor game areas. Child development through creative exploration! When children think and work creatively, something magical happens… their involvement in arts can help then in their success in school and life! When they learn to use the clay and to express their feelings? and visions through the clay, they can become empowered in several ways that go far beyond of the pottery classroom! A unique outdoor game with more than 20 communicating rooms with Minoan decorations where the winner reaches Ariadne's clew and the loser falls into the Minotaur's trap. Including the Archaeologist Game: An area in our family resort in Crete where children will take the role of the Archaeologists, wear casks and carry lambs for unique archaeological treasure hunting and puzzle game. Located in the back quarters of the park this guesthouse is a quiet paradise where our little guests can enjoy a day nap to refresh their strengths before heading off for the next mission. Beds and baby cots are available for children of all ages. The walls are hand painted with Minoan cartoon characters that seem to gently sing lullabies and whisper Minoan secrets to the little warriors. A children's river/lagoon type pool located in the centre of the park can offer our little guests a splash of playfulness and amusement. Featuring a replica of Ulysses ancient trireme boat, kids can relive the thrill of being a member of the crew while taking the seas. When crossing the bridge that connects the two areas of the park, a trembling ambience is created simulating a sense of earthquake shocks. Do you like jumping? This is the game! This huge trampoline invites our little fiends to propel themselves high into the air and have the most of fun! Dive into a safe room surrounded by a fisher net filled with small plastic colourful balls. Parents can be reassured that their children will be left in a totally safe environment. This game has been designed for children of all ages. Separate room featuring baby tables and chairs where kids can practice their artistic skills and handcrafts in our family resort in Crete. A variety if paints, crayons and colour pencils are available for our small friends. A room where children can find a variety of video games, whilst combining mythology with today's progressive technology. Two different low-lit rooms especially designed for interactive video games can be found in the Capsis Minoan Amusement Club. Where children holding a wireless joystick can become the hero of each video game. The Capsis Minoan Amusement Park offers its little guests fascinating shows that bring to live the Minoan mythology. Every night at the outdoor theatre of our family resort in Crete, plays and shows are organised by the animation team of the park. Every night a mini disco takes place in the outdoor theatre where the little ones can "socialize" and enjoy pleasant happenings such as juggling with fire. Children can also participate in puppet shows which take place in the indoor theatre where all the characters have been hand crafted by the creators of the park. The indoor restaurant and bar has been created only for the little menaces, which serves meals and various delights. Also these areas are ideal for private children’ parties with a full animation programme available. 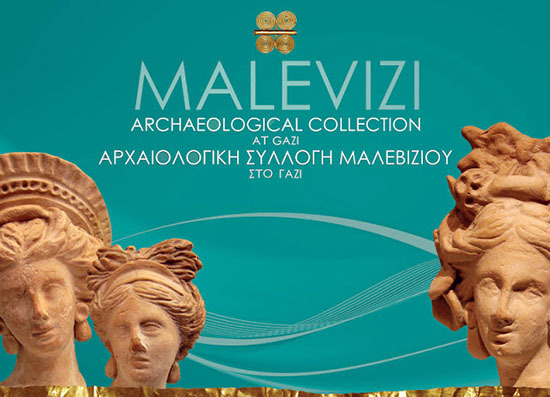 The Malevizi Archaeological Collection consists of artefacts from all the periods of the history of Crete which are exhibited in 40 display cases (The Archeological Collections is displayed in a large hall in the municipality building). The collection as a whole paints a clear picture of ancient Cretan civilization with representative works of many forms of art covering a chronological span from 4000 BC to 300 AD. 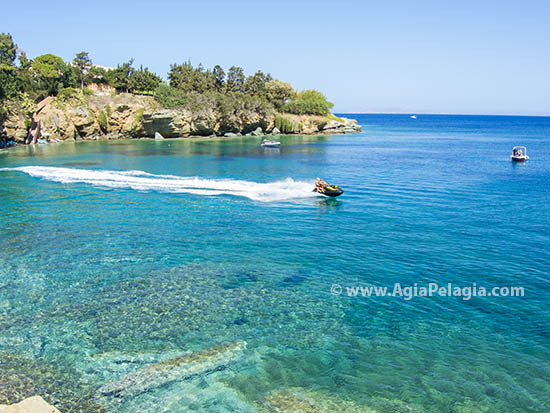 Incredible Crete Island - Surprisingly Yours!